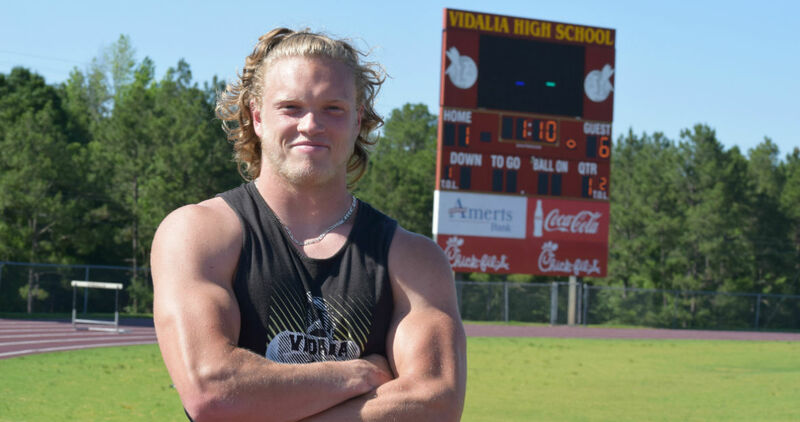 Shirts With Random Triangles: Georgia adds four-star ILB prospect Nate McBride to its 2017 recruiting class. Georgia adds four-star ILB prospect Nate McBride to its 2017 recruiting class. Nate McBride. Image via DawgNation. Georgia has added its 20th member of its 2017 recruiting class. Vidalia, Georgia high school senior inside linebacker Nate McBride committed to the Bulldogs on Christmas Day. 247Sports.com grades McBride as a composite four-star inside linebacker prospect. The recruiting sites 2017 prospect rankings lists McBride at no. 92 in its national composite, at no. 2 among ILB prospects, and at no. 12 among prospects from the state of Georgia. McBride attends Vidalia Comprehensive High School in Vidalia, Ga. he stands 6'2, and weighs 220 lbs.